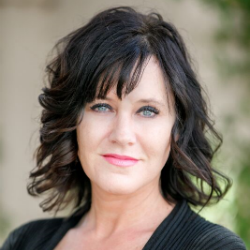 Dr. Lorica Yockey is a highly seasoned pharmacist with expertise in the areas of pharmacy regulation, bio identical hormone replacement therapy, veterinary medicine, end of life care, compounding, PBM, mail service management, business management, and corporate management. She has dedicated over 13 years to her work as a pharmacist since graduating from Midwestern University, Glendale, Arizona (2005) with her Doctor of Pharmacy degree. Since completing her pharmacy studies, Dr. Yockey has obtained her PRS (Pharmacy Regulatory Specialist) certification as well as many specialty certifications in business management and large scale team leadership. On a day to day basis, Dr. Yockey currently works primarily with compounded bio identical hormones, veterinary preparations and pain compounds. Most of her time is dedicated to educating patients, prescribers, caregivers and other healthcare team members on appropriate therapy options, ideal clinical outcomes, drug utilization, and cost/benefit maximizations. In June 2018, Dr. Yockey became Pharmacist In Charge (PIC) for Carefree Compounding & Wellness, a company which specializes in compounded medication preparations with a particular focus on HRT, BHRT, women’s and men’s health, pain preparations and veterinary medications. The company provides comprehensive and customized hormone replacement therapy for men and women as well as pain therapy preparations and pet medications. In addition to operating a physical presence which is open Monday-Friday 9am to 6pm, the ambitious company also offers mail service delivery and a typical compound completion time of 24 hours or less, far exceeding most competitor standards. Dr. Yockey recognized pharmacy as the best opportunity to utilize her passion of educating and mentorship. Being a strong communicator with a sharp interest in law and advocacy, Dr. Yockey found her skills and education would be valuable in a patient centric healthcare team. She uses her clinical knowledge and passions to educate and motivate patients, prescribers and support staff in all areas, and to bridge a communication core centered on maximizing patient clinical outcomes. Dr. Yockey is a very driven, persistent, goal orientated professional. Her ability to form solid, trusted, respected professional relationships with patients and prescribers makes her a highly valuable and favored attribute to pharmacy practice, so much so that she has been officially recognized as Pharmacist of the Year. Keen to support the communities around her, Dr. Yockey is actively involved with a number of charitable organizations supporting Children’s Hospitals and Cancer Societies, various homeless and hunger shelters, and animal care organizations. It is through these activities that Dr. Yockey is able to carry out her passion for advocacy and working to assist those who have no voice. Looking to the future, over the next five years Dr. Yockey plans to stay immersed in her work and continued specializing through experience and education where she intends to continue bringing new experiences to her repertoire. With a thorough enjoyment of seeking knowledge and experiences in different areas, Dr. Yockey plans to continue to learn every day and take on board new opportunities to innovate and develop her leadership and clinical experience in new areas of pharmacy. Furthermore, Dr. Yockey plans to remain a well-rounded and diverse pharmacist, bringing benefits to anywhere she works. When not busy working, Dr. Yockey enjoys cooking, hiking, zombie movies, and playing Xbox. Carefree Compounding & Wellness specializes in compounded medication preparations with focus on HRT, BHRT, Women’s and men’s health, pain preparations, and veterinary medications. They are serving the entire state of Arizona and look forward to the opportunity to serve patients with integrity, compassion, and excellence. They are dedicated to providing a top quality product with unmatched customer service. They are here to serve patients needs and earn the trust in providing the best healthcare they can.